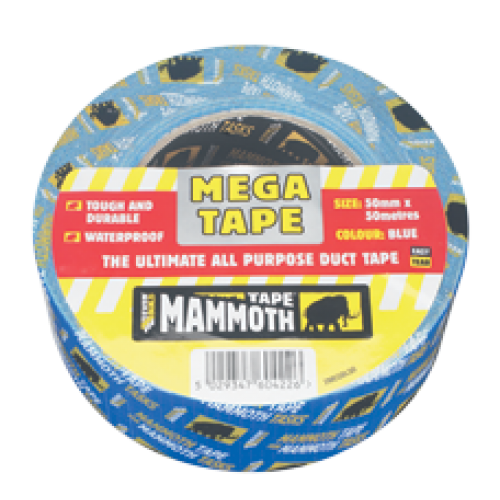 Mega Tape - the ultimate All Purpose Duct Tape, top quality cloth with aggressive natural rubber adhesive. Tough, durable and waterproof for thousands of applications on site, in the home and in industry, in the widest possible range of colours. Ideal for use on site or at home.